Obtain a legal wet signature with our patent pending eSignature technology. Request and receive a signature in minutes. No need to wait on snail mail to get a compliant signature. -Delores Bowers, VP at B & B Financial Services, Inc.
Set up the options you need – send by email, text message or both. 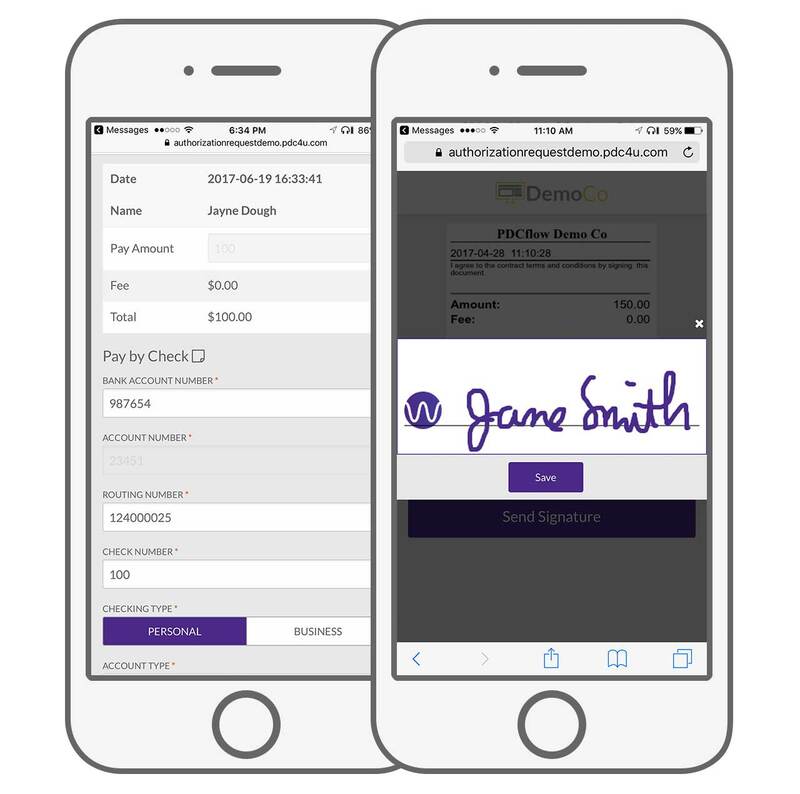 Send a detailed recurring payment schedule, request a signature on a payment authorization document, and request an initial payment. Confirm authorized consent on recurring payment schedules with a legal wet signature to ensure regulation e compliance. Your employees can send the custom workflow while on the phone with your consumer. Give your consumers minutes, hours or days to review the eBill and complete the payment authorization. Report includes: Dual authentication, date/time stamp, method of delivery (email address and/or cell phone number) and a legal wet signature.